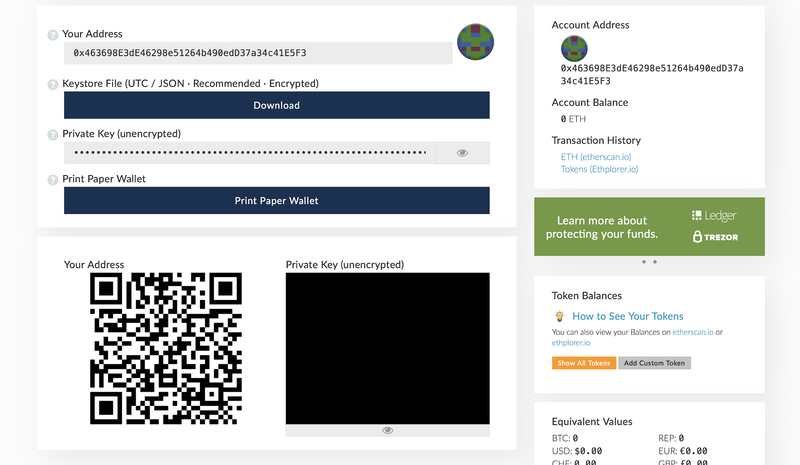 The most friendly and reliable option among the wallets nowadays is MyEtherWallet, so we’ll show you how to set-up a wallet on this platform in a few steps. Note: MyEtherWallet can store any coin on Ethereum blockchain. 1. Visit myetherwallet.com and enter the password for your future wallet. It should be strong and secure enough. Make sure you won’t forget it, so you should avoid overcomplicating. Note: Please remember that losing the password will result in losing your crypto tokens/coins. 2. Press the ‘Create New Wallet’ button below the password field. After that, the platform will generate the Keystore file for you. 3. 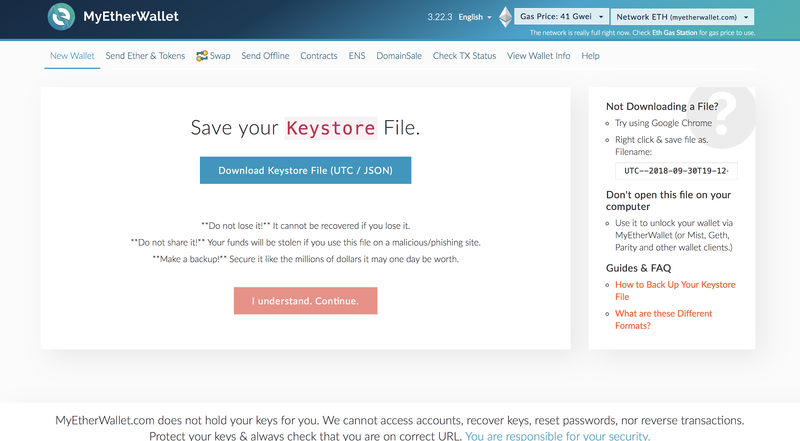 Read the warnings carefully and download your Keystore file. We strongly recommend you storing this file on multiple devices like a USB flash drive, external hard drive, etc. Once you’ve downloaded the Keystore file, you can press the ‘I understand. Continue.’ button to proceed further. 4. 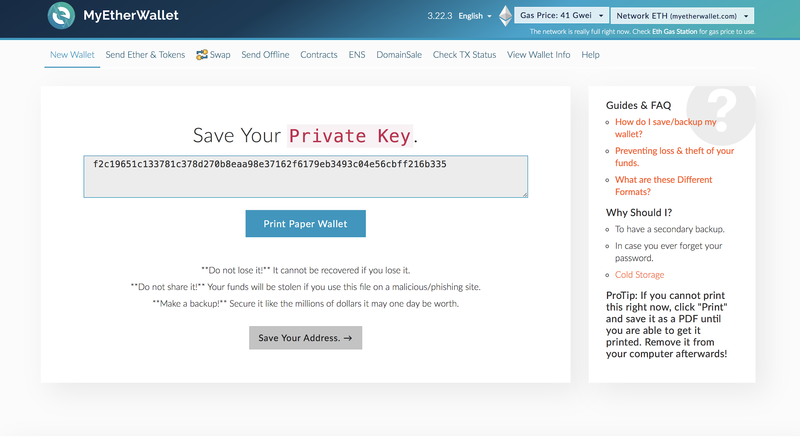 Print out your Paper Wallet with a Private Key or write it down on the piece of paper. Note: If you decide to write it down on your own, make sure you do it a few times to avoid possible sloppy handwriting mistakes. Now you can press the ‘Save Your Address’ button. 5. Choose how you want to access your wallet. There are several ways to access your wallet. In case you decide to upload your Keystore file or simply enter the Private Key, you should use the MetaMask extension for your browser. MetaMask protects you from phishing and fraudulent manipulations. 6. Once you’ve connected the MetaMask and uploaded your Keystore file, you’ll have to enter your password that you created in Step 1. Click the ‘Unlock’ button, and you’re all set! 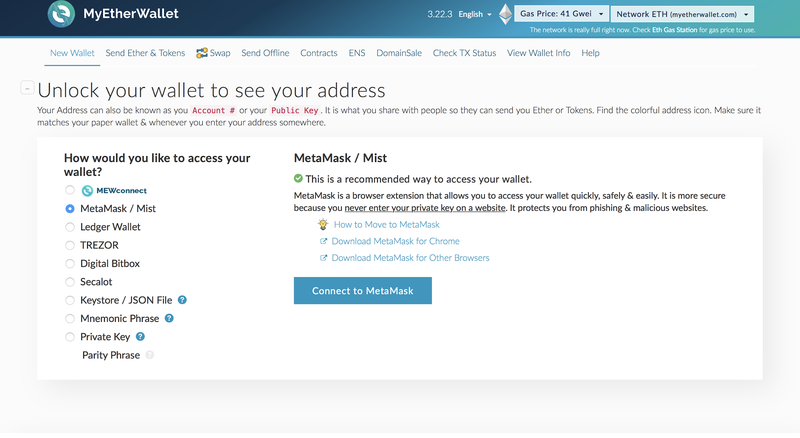 Now you can see Your Wallet Address. This is your personal address where you can send your BERRY tokens. Copy this address; we’ll need it very soon!